Weird Paul solo playing in front of the record store for Record Store Day 2019! Free and all ages! 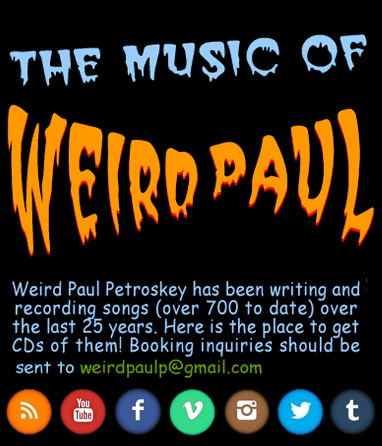 Weird Paul Rock Band goes on at 5 PM sharp! Free and all ages! The Weird Paul Rock Band performs LIVE at the St. Ursula Parish Festival! All ages! Free! 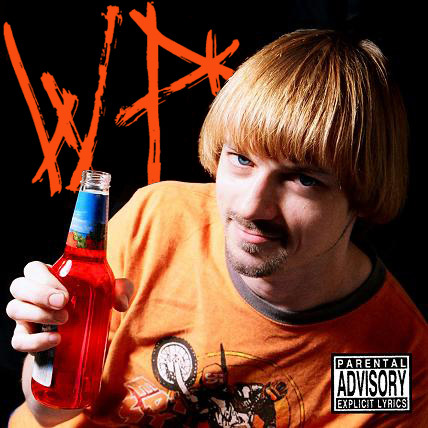 The Weird Paul Rock Band performs live! All ages! The Weird Paul Rock Band performs live at Summer Concerts in the Park series! Free and all ages! New 7"s available in the store now! 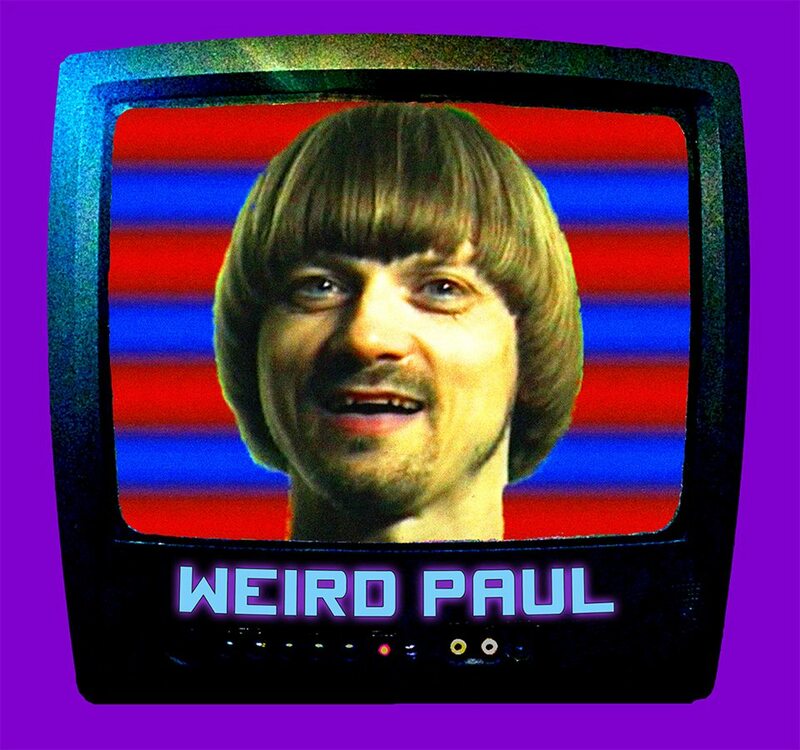 Check Weird Paul out on YouTube! Don't forget to subscribe to his Youtube channel so you don't miss any of the upcoming videos! New Weird Paul T-shirts are now available in the store! They are awesome, get one today. ROCK BAND SHOW at CMU with Spoon and Oakley Hall in 2007! "MEDICALLY NECESSARY" REVIEWED IN PITTSBURGH CITY PAPER!! PREMIERE OF THE WEIRD PAUL DOCUMENTARY! WEIRD PAUL: A LO FIDELITY DOCUMENTARY by Chicago filmmaker Stacey Goldschmidt premiered in Pittsburgh PA on April 21st, 2006 at the historic Harris Theater, downtown. It also played at the Chicago Underground Film Festival in Chicago, IL at the Music Box Theatre on August 20th, 2006 and twice at the Leeds International Film Festival in Leeds, England in November 2006. Weird Paul also performed live in Leeds twice! Click here to see the film's page at the imdb. The hour long film features interviews with Lou Barlow, Calvin Johnson, John S. Hall (King Missile), Britt Daniel (Spoon), Ethan Buckler (King Kong), Karl Hendricks (The KH Trio), Paul Caporino (MOTO), Mr. HCI (The Happy Flowers) and Lord Grunge & Grape-a-don (Grand Buffet), as well as some of Paul's former band members, the man who signed Paul to Homestead (Ken Katkin) and Paul's parents, relatives and son, Tristan! Anyone interested in exhibiting the film or showing it on public access cable should contact this website. 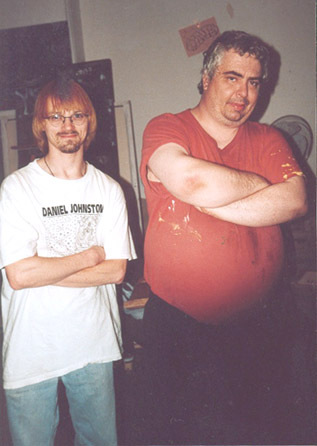 Here's a picture of Weird Paul and Daniel Johnston, taken when they met for the first time (in Philadelphia) in June 2001!